Originally posted on January 21 2013, a post Aleyda Solis. Thanks to a highly anticipated explosion in 2012 and an expected growing trend, mobile is meant to be one of the top priorities for online businesses this year. Although I’ve already written a guide to get started with mobile SEO and spoke about the main criteria to identify mobile SEO opportunities and specify a strategy, I would like to share the different steps to perform a mobile SEO audit. Mobile search activity: Answering to specific needs of users on the go, more locally focused that might need specifically targeted content offering. Mobile platform characteristics: With different formats, speed and technology support that can restrict the correct visualization a site content. Mobile browsing behavior: Mobile users browse sites and consume content differently with their mobiles and need mobile websites ready to answer these needs. Mobile users growth: The highly expected explosion of the mobile ecosystem has started and Google has introduced specific search bots for smartphones to make sure they effectively identify mobile related content, giving a better search experience. Google has also published a guide to build mobile optimized Websites and launched a Web to help you build a Mobile site, so really, what are you waiting for? You’re lucky today… this is a great place to start. The next step is to learn about the distinguishing structural characteristics of Mobile Websites that affect their SEO processes. Although Google recommends to use responsive Web design to develop smartphone optimized sites, it’s not always necessarily possible because of the site unique characteristics or technical restrictions. Responsive Web Design is a Web design approach that uses CSS3 Media Queries and a fluid grid with relative units in order to display a flexible design that automatically adapts according to the device used by the visitor: mobile, smartphone, tablet, desktop, etc. without redirecting or referring to another page. With a responsive Web design approach you won’t split link popularity among many URLs targeting the different devices and will avoid any content duplication issue, maximizing and reusing the same information by changing its format based on the device. Nonetheless, this approach would require a possible site redesign and won’t provide a highly targeted, differentiated user experience and content offering based on the used device. With dynamic serving your Web server needs to respond with a different piece of HTML on the same URL depending on the user agent requesting the page: Mobile users and bots should see a mobile specific page version served on the same address than the desktop one, that should be only accessible to desktop users and search bots. This approach gives you the alternative of creating a specifically targeted page for each type of device if you need to (desktop, feature phone, smartphone or tablet), giving a highly targeted user experience without splitting link popularity since they’re all going to be shown through the same URL, based on the identified user agent. Nonetheless, the maintenance costs and implementation complexities can be high. With a parallel mobile site you will create an additional mobile site URL structure targeting users accessing via mobile devices, that will be shown under the “m” subdomain. In this approach visitors and search bots that end-up in the wrong site version are 301-redirected to the correct one. For example, if a mobile user or googlebot mobile try to access the yourname.com/category page, they will be 301-redirected to the mobile version of that specific page: m.yourname.com/category. The same will happen the other way around, with desktop visitors and search bots 301-redirected to their correct desktop page version. This approach is similar to the one of the dynamic serving in the sense that you can create independent and specifically targeted pieces of content, that can be totally differentiated to give the best user experience, nonetheless, in this case the pages will be shown through different URLs which can cause a link popularity split and a content duplication risk if it’s not correctly optimized (with redirections and the use of tags that will be covered later). 3.1.1. What’s the volume & trend of your site organic traffic coming from Mobile devices? The amount of organic traffic coming from mobile devices: How high is compared to the site general organic traffic (desktop included), general mobile traffic (paid and other sources included) and total site traffic? The trend of mobile organic traffic: What’s the growing rate of the organic traffic coming from mobiles and tablets? How does it relate to the general organic traffic (desktop included), general mobile traffic (paid and other sources included) and total traffic site growth? 3.1.2. What Mobile devices are used by your site visitors? 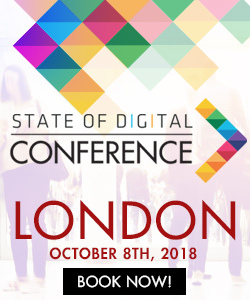 You can also identify with Google Analytics which are the most used mobile devices –if feature phones, smartphones or tablets and which brand and screen resolution–with the report located in the Audience > Mobile > Devices option. Verify if there’s a difference in the volume and trend of the mobile devices used by visitors coming only from organic search and the overall mobile users (including other traffic sources). 3.1.3. What keywords and pages are used by your mobile users to visit the site? Check the mobile and tablet traffic with the Google Analytic’s Organic traffic report –under Traffic Sources > Search > Organic– identifying most popular keywords and landing pages used to access your site from mobile devices. Are the keywords and landing pages used different? What’s the difference from a traffic volume, trend, behavior and conversion perspective on the site? 3.1.4. How is your site seen from relevant mobile devices? 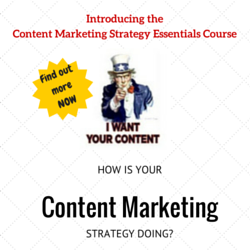 Is all of your content –text, menu, images, videos– correctly displayed and usable? 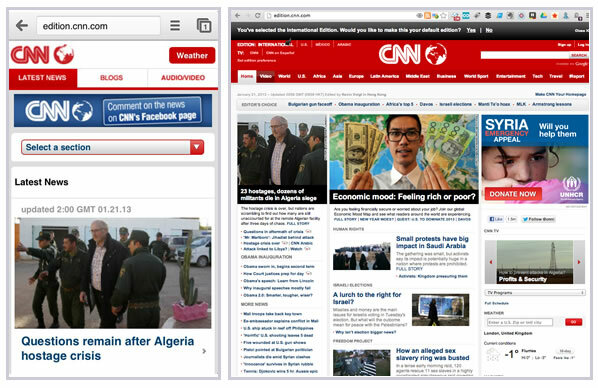 Is the most important information shown above the fold? 3.2.1. 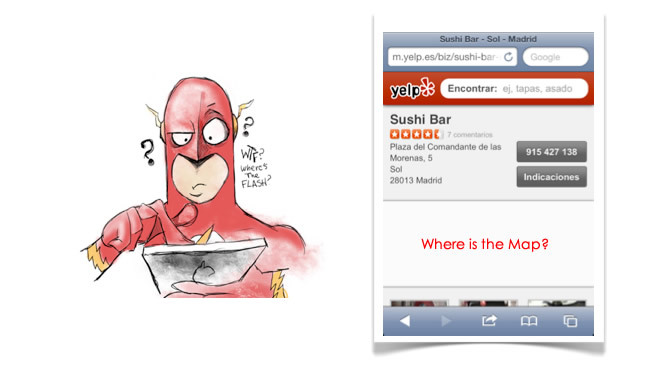 What queries and pages are giving visibility from the mobile search results? With Google Webmaster Tools you can verify the top queries and pages shown in Google’s mobile search results. Go to the Traffic > Search Queries report where you can select a Mobile filter and in the Top Pages tab see which are the ones receiving visibility and the queries triggering them. How are the titles, URLs and meta descriptions visualized in the mobile search result pages. The differences between the Titles, URLs and Meta Descriptions with the desktop search result pages. The rankings you’re already achieved with the mobile search results and how they relate to your desktop search rankings. The mobile search rankings and the mobile traffic you’re receiving with those keywords and landing pages. The relevancy of the mobile competition who are ranking for these keywords. 3.2.2. How is your site crawled & indexed by mobile search engines? In Google Webmaster Tools you can also go to the Health > Crawl Errors report and choose the Mobile tag to identify which of your site pages are giving errors to googlebot mobile. To have a much better understanding on how the Googlebot Mobile crawls your whole site and identify which architectural aspects and elements need to be improved (titles, meta descriptions, URLs, internal links, redirections, canonicals, meta robots, images, videos, etc.) you can use Screaming Frog‘s Spider User Agent Configuration, select to customize one to add the Google bot for Smartphone as specified here. You can additionally verify the speed of your pages with mobile search results visibility and receiving mobile traffic with PageSpeed Insights, by choosing the Mobile option in order to identify which are the aspects that can be improved to make sure your site content can be accessed without issues. Use Google’s Keyword Tool to do a mobile keyword research, making sure to select the “all mobile devices” option from the filter menu. You can start by including those keywords that were already used by your visitors and the mobile queries that give visibility in the search results to your site. Are the given keywords ideas –the keywords used by your industry’s mobile audience– the same than the ones already used by your mobile visitors to access the site or the queries that make the site show in Google’s mobile search results? Is the potential mobile traffic enough to compensate a mobile site development and the activities to improve all what you’ve identified before? If the answer is positive it’s time to identify which is the best option to enable or optimize your mobile site. After you have selected the best mobile site architecture approach according to your Mobile SEO audit findings and site characteristics you can start developing or optimizing (in case you already have) your mobile site. As a result of the Mobile SEO audit you should create actionable Mobile SEO recommendations to improve the site mobile search visibility, traffic and conversions. Use these templates I’ve shared before to create actionable SEO audit reports by formatting the recommendations in a easy to understand document that drives accurate implementation and facilitates the follow-up. Make sure your mobile pages load fast, taking into consideration Google’s Web performance best practices, particularly those for mobile optimization, that take into consideration mobile devices limited CPU capabilities and the high round-trip times of mobile networks. All page elements and content are effectively displayed in mobile devices. Take also into consideration that mobile search results snippets showing titles, meta descriptions and URLs can be different and are usually shorter than for desktop. To make sure you make the most out of them with the mobile targeted keywords and you’re as concise as possible you can use the Firefox extension User Agent Switcher to easily visualize Google’s search results as a mobile device and verify how they’re displayed. It’s also fundamental to reorganize your mobile page elements in order to fit well in your most popular mobile devices screens –the ones you identified in the “What Mobile devices are used by your site visitors?” analysis–, taking into consideration these Jakob Nielsen’s mobile usability guidelines. Although is true that you will need to reorganize your content and eliminate some elements to fit well in mobile screens is important to keep the same design patterns and references between your Mobile and Desktop sites, that will help your users to identify and browser more easily through your mobile site. Allow search engines to crawl pages’ assets (css, js, images). Make sure you’re not blocking these elements with your robots.txt. Use a CMS or Framework to facilitate the implementation, such as Bootstrap or Foundation and follow Google’s guidelines to use responsive Web design effectively. Since you will be using the same page for both desktop and mobile purposes it’s even more important that you check those elements that could have problems to be shown in mobile screens and the site speed. Use the vary HTTP header “User Agent” when serving different content through the same address according to the user agent to help Googlebot discover your mobile-optimized content faster. Since you will be automatically serving your mobile and desktop content through the same URLs it’s fundamental that you verify if you’re effectively detecting the user-agents (and avoid cloaking) by on one hand, always showing the same information to your mobile visitors and search bots and, on the other, the same to your desktop visitors and search bots. Use Google Webmasters Tools Fetch as Googlebot mobile option and Screaming Frog’s crawling capabilities as Googlebot mobile, as it was shown in the “How is your site crawled & indexed by mobile search engines?” analysis. Enable a consistent Mobile URL structure under an “m” subdomain that correspond to the same desktop version structure. For example, the mobile version of yourname.com/category will be m.yourname.com/category. Use 301-redirects in all of the site pages to refer mobile users and bots accessing a desktop page version to its mobile version and viceversa. For example, a mobile visitor or search bot accessing to yourname.com/category should be 301-redirected to m.yourname.com/category, and viceversa with desktop visitors and search bots (they will be redirected to the relevant desktop page when trying to access a mobile page version). Always include a link from the mobile versions to their specific desktop versions and viceversa, from each desktop page to its relevant mobile version. For example, you should include a link from the desktop site yourname.com/category to its mobile version m.yourname.com/category. Create a Mobile XML Sitemap for feature phone or smartphone and submit it to Google Webmaster Tools through the Optimization > Sitemaps functionality. Configure Google Analytics to show your full hostname, to make sure you can effectively track your mobile subdomain. Relevant terms with the higher mobile search volume identified in the mobile keyword research you did in “Your Mobile Sector Audience” analysis that are also attractive from a business perspective. These can be a bit trickier to optimize if you’ve chosen a responsive Web design alternative and your mobile keywords are different from your desktop ones. If this is the case, then you should identify which of your desktop pages are the ones that could be also especially relevant and attractive for your mobile audience. Address and phone of each office or locality with geolocalized terms in your mobile optimized pages for local related businesses. Structured data according to Google’s specification to include your business name, products reviews, events, videos, in order to display rich snippets in the search results. To verify if you’re correctly implemented structured data on your site you can use the Structured Data Testing Tool or go to Google Webmaster’s Tool and select the Optimization > Structured Data report. Make sure to prioritize those keywords that you have already mobile visibility, traffic and conversions that you perviously identified in the “What keywords and pages are used by your mobile users to visit the site?” analysis. If you’ve chosen the responsive Web design or dynamic serving alternatives then you won’t need additional activity from a link popularity perspective since your mobile URLs are also your Desktop ones, which are likely already attracting links from ongoing link building campaigns (if not, make sure to start one now). Nonetheless, with the parallel mobile site approach you will need to pay more attention to create links that increase –especially at the beginning– the specific mobile site structure authority. To establish a strategy that will help you to increase your mobile site authority according to your present situation take into consideration what you’ve found previously in “Your Mobile Search Popularity” analysis, the volume, type, authority, sources and trends of your incoming links compared to your competitors. Earning citations and references from local media, events or organizations and your online community. Creating a Google+ for Business page, that will also help you to earn more visibility in local related search results. Remember that the ultimate goal of any SEO process should be a positive ROI and to effectively measure and validate what you’re achieving with the process it’s fundamental to identify and track your KPIs frequently from the beginning -organic mobile search visibility, traffic, conversions, etc.-: Don’t forget to set and follow-up, you can’t improve what you don’t measure. Are you ready now? Happy Mobile optimizing! I’ve added an extra link in the XML Sitemap section specifically for smartphones Sitemaps. Thanks Pierre Far for noting this! Great Post Aleyda. As Daniel says, It’s a lot to digest but all really useful info! I think this will become more and more useful as things continue to progress this year. Thanks! That’s a damn long post Aleyda. Loads of new things for me. Thanks for writing in this much detail. We’re currently working with a client who is seeing over 40% of their traffic come from mobile visitors (a little bit insane!). I’ll definitely be bookmarking this for future reference. Aleyda that is the best post that I have seen on Mobile SEO for a long, long time. And I mean it. Thank u so very much. This is already going to list where I store my evergreen posts. Thanks Aleyda – I’ve bookmarked this for future reference. Very informative with great actionable steps to follow. Hats off to you. A great post. Mobile search optimization has picked up very fast, especially since the last year with the emergence of E-commerce and this particle will prove to be a big bosst for anyone looking for local mobile citation search optimization. Pingback: [January 22, 2013 at 02:54PM]-[BII MOBILE INSIGHTS: Which Companies Are Making Money In Mobile?] | News for people who love Michigan. WOW!Thanks Aleyda. It really make me ponders by your great post. I’m certainly need to revisit this page a lot to improve my mobile site! This an amazing and probably the most comprehensive post on Mobile SEO so far, thanks for that. Thank you for sharing this information with us. Optimizing for mobile should be part of today’s SEO campaign because millions of people are using the mobile phones to surf the internet than using computers. As a result having mobile friendly websites should be a great plus for any website owner. long but excellent guide for mobile opt.! Impressive post and insights, thanks for sharing. Pingback: How To Do Mobile Keyword Research In 2013 - Canada SEO Blog – Canada SEO Professional Ltd. Thanks for your post! A very good explanation! I have doubts about the parallel mobile site approach. You speaks about redirect 301 but I don’t find real brand examples. Ebay redirects with 302, and the other examples like The HuffingtonPost or Flick don’t use redirect. Also, I read a lot about google specifications (canonical and rel structure) but I don’t find examples with correct implementation. And an additional question :)… if we implement redirect… it is necessary canonical and rel tags? Good read 🙂 I have a client with ~50% of her traffic coming from mobile. 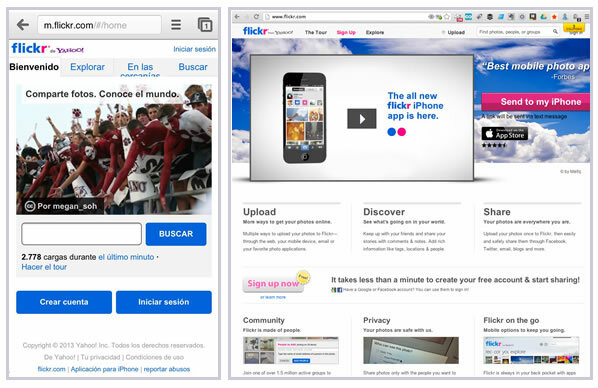 Pingback: When Responsive Design is Not an Option: a Checklist for Optimizing Your Mobile Site - Webinova Inc. Display top 10 seo companies in bangalore,India, display best web design companies in bangalore India | Webinova Inc| Webinova Inc.
Pingback: Is your Keyword Research Strategy Ready for 2013? Pingback: Is Your Keyword Research Strategy Ready for 2013? - Canada SEO Blog – Canada SEO Professional Ltd.
Pingback: Feed me! » Blog Archive » Is Your Keyword Research Strategy Ready for 2013? An awesome article this is.Mobile SEO is the next big thing…just watch this space! Thanks for sharing though. in my opinion this is a very helpful article. especially when mobile and local seo becomes more and more interesting for business and private people. the effects of farmacia on line. Loved the all of it. It is long, maybe should be shortened a bit, but very useful and fun reading. Thanks for this post Aleyda. This is great. I’m striving to becoming an expert in mobile seo and I wish you were giving 1 on 1 tutoring lessons about this. It will definitely help accelerate my learning curve in regards to mobile seo. Printed 😀 thanks a lot for this grat article! 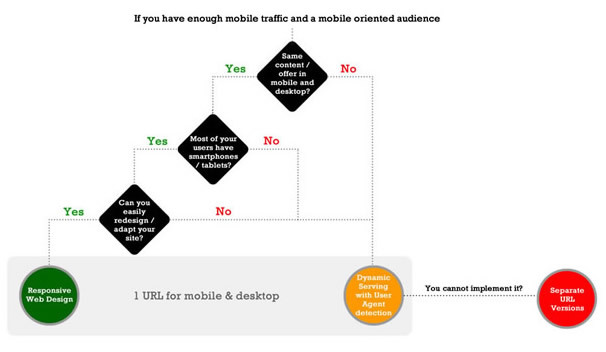 This is such a great technical guide for mobile site optimisation. Unfortunately, Google Keyword planner no longer displays keyword volumes from mobile devices. Still there is limited data from Google Analytics for keyword volumes from different devices. But how are you going to do different keyword targeting if you have 1 URL for both mobile and desktop devices? However, if you have mobile site on a subdomain, you can, but does it make sense? Very helpful and informative article on mobile auditing! Great post but images seems to be disappeared:/ any chances to reupload them? I like it much. Nowadays, too many companies developed handy gadgets for the user to get comfortable in using mobiles and we must support them for us to make digital marketing easy. Great article. Mobile SEO will be even more related to UX than everything before. I think this is an opportunity for Google to rethink the weight of links.